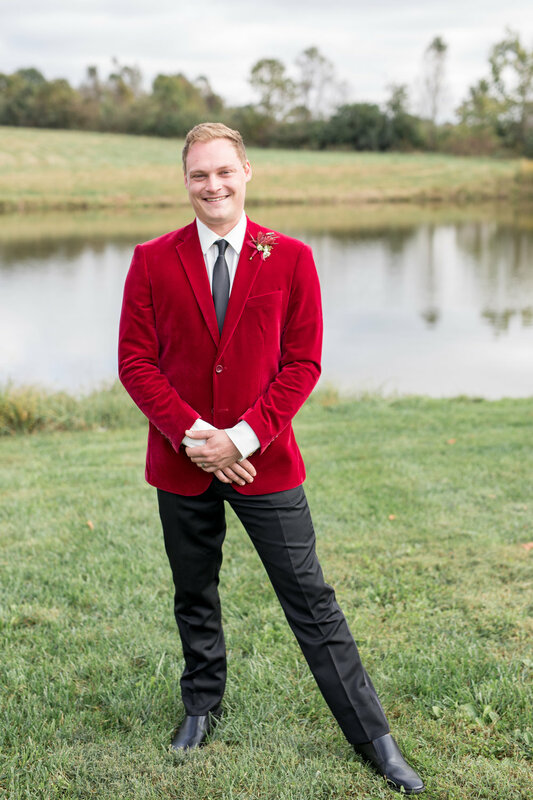 Since I am so focused on creating a unique wedding experience for each of my couples and pride myself on sharing their personalities in my photos, I thought I would start something new this year. 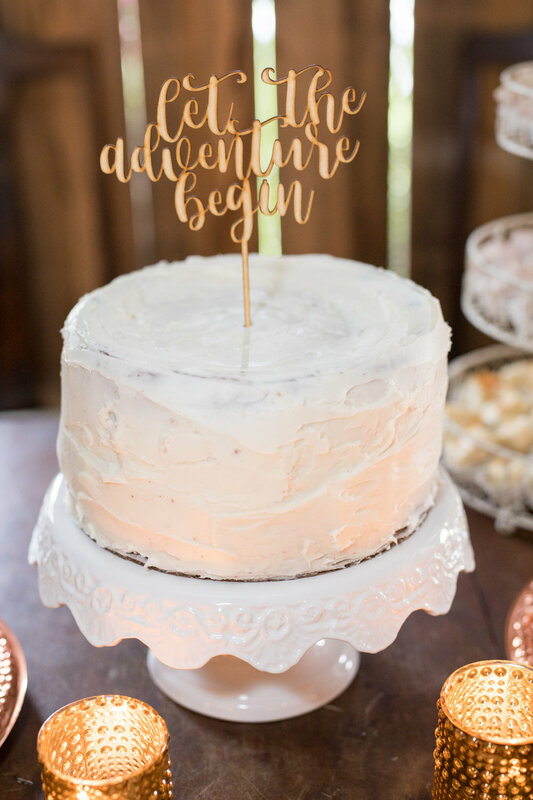 After each wedding I want to share something specific that stood out to me from the day which I thought was special and unique to the couple. 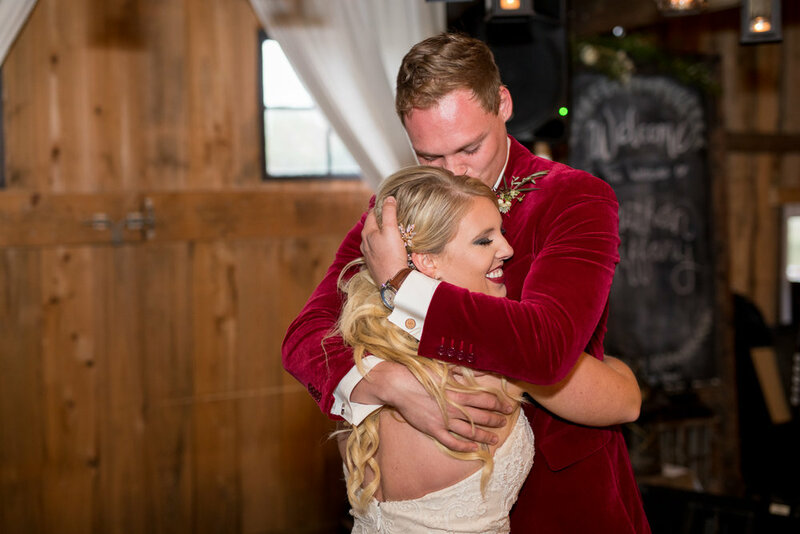 I’m starting the series off with a great one from my first 2019 couple, Ali & Luke. 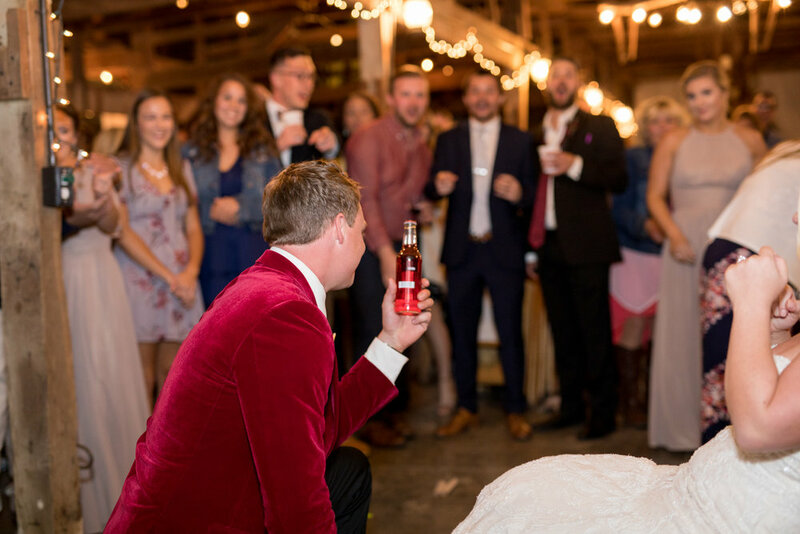 After three years in the industry and working over 50 weddings, I have never seen this before and really loved the idea! Ali & Luke had these adorable Mr. & Mrs. aprons, (Amazon link below) which they put on right before dinner. They went behind the buffet tables and began serving their guests their food. I loved this idea so much, so I asked them a little more about why they chose to do this. 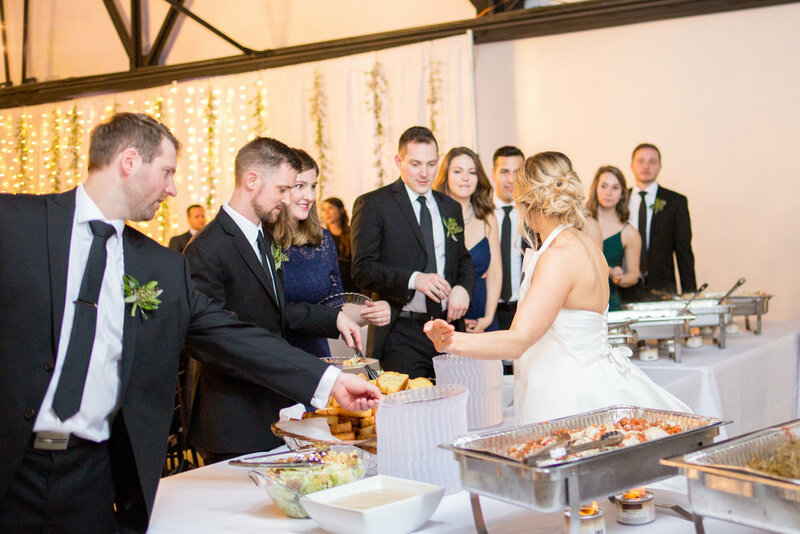 What inspired you to decide to serve the food to your guests at your wedding? “The whole focus on our wedding, we wanted to be different. We planned for the marriage and the kind of wife/husband we wanted to be (counseling, praying, conversations, reading books) more than we planned for the wedding day, because that’s what it’s about right? Not to say, the wedding day isn’t important because making vows for life with someone is a big deal, but in our current “selfie” and social media “highlight reel” culture you can really get consumed with super high standards of the “perfect day,” large budgets, and lots of time and stress, then at the end of the day, it doesn’t really have any benefit to the marriage, for you or your spouse. During our engagement, we talked a lot about showing grace to each other and serving each other as husband and wife. Even when you don’t want to. Rather than being worried about what the other is doing or most likely NOT doing, but loving the other well in how they need it. It’s the picture of how Jesus loves us... we are undeserving and flawed, yet He is devoted to us. Love this idea? Find Mr. & Mrs. Aprons on Amazon here! As an Amazon Associate I earn from qualifying purchases. 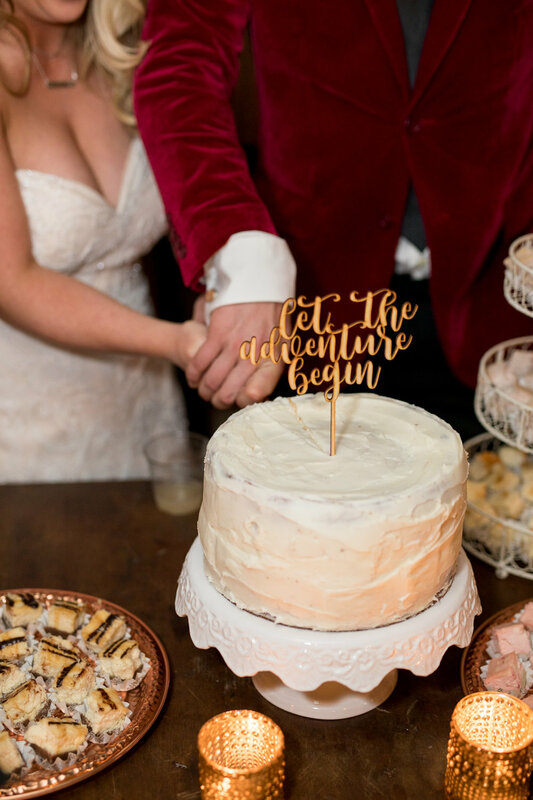 PS, did you know you can create an Amazon Wedding Registry? I think that sounds amazing and is just flat out brilliant! Check out the banner to learn more! 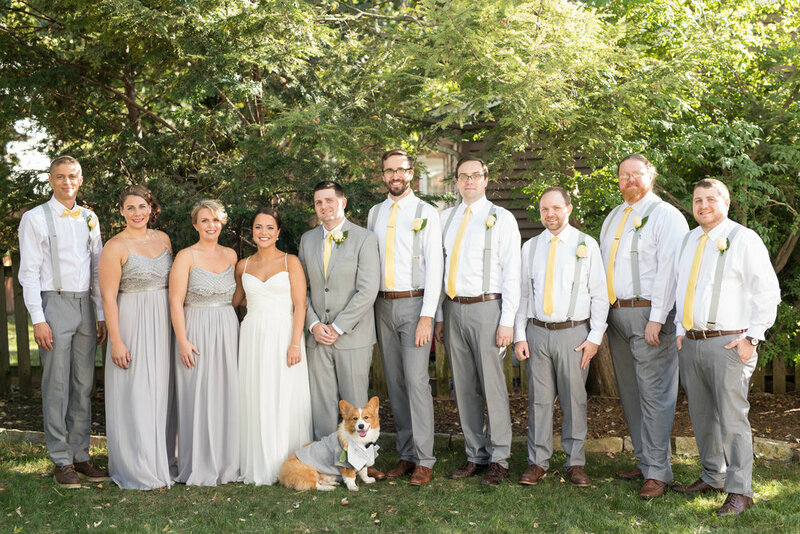 Should your dog be at your wedding? Everyone who has a dog can probably say their pup is like family to them. 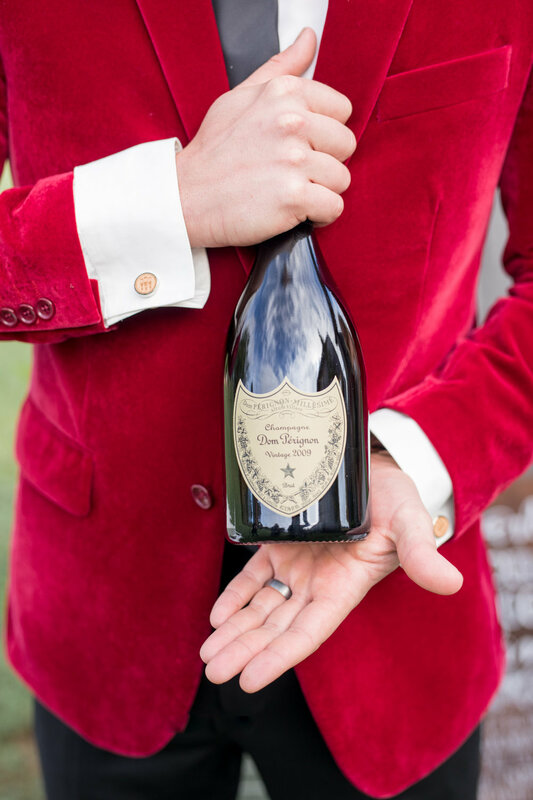 So why not have them at your wedding day?! As much as I’m sure everyone would love to have their dog attend their wedding, there are some obvious logistics to sort out. I am going to help go over several things to consider when deciding whether or not to have your pupper at your wedding. PS I am biased and my answer is always, “yes”. Will the pup be in the wedding or just show up for photos? 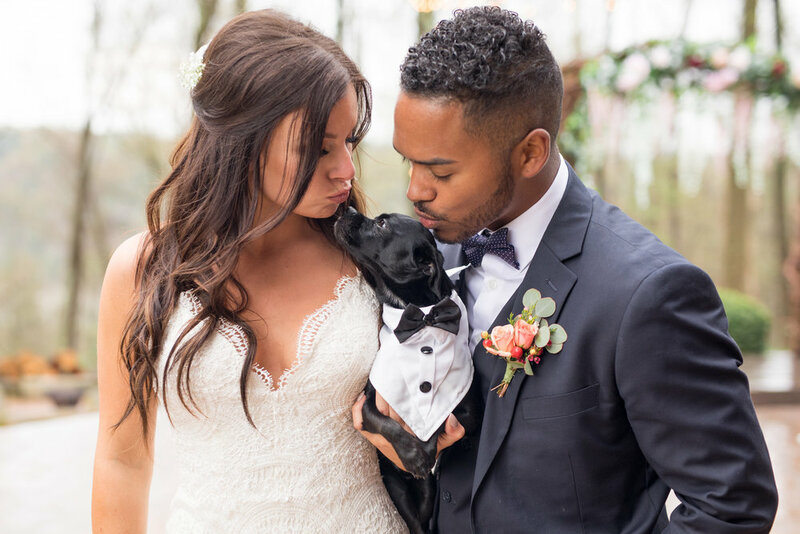 Some couples feel their pupper should walk down the aisle and actually be a part of the wedding as a ring bearer or flower girl, while others think it may be best to just take a couple of quick photos. Who will bring the pup to the wedding and bring them home? Do you have a designated person to be in charge of the pup throughout the day? This person should not be in the bridal party so they would not have to miss any of the important festivities or photos. A date of someone in the bridal party might be a good option or even a cousin or family friend. Will the pup behave or will they jump all over your fancy clothes? A big question is always deciding how well behaved the pup will be at the wedding. Will they be super excited to see you and jump all over your fancy clothes, and do you even care if this happens? Lint rollers are always a life saver and if you have a dog I’m assuming you already have one on you at all times. Will there be any special attire for the pup? This is always my favorite part. I’ve seen adorable custom made suits fitted for dogs and even a classic bow tie or flower crown for the lady pups are a nice touch. Should I bring my dog to my engagement session? As you would probably imagine, it is a lot easier to manage a pup at an engagement session. Typically, if you have a friend to bring along to the session, they can watch the dog and even take the pup home after we’ve taken some good photos. I’ve had couples who will be in a more casual outfit while taking photos with the pup and then change into a nicer outfit when the pup leaves. A beautiful fall engagement session at one of my favorite Columbus Parks. This was a special session to me because Rachel was a good friend of mine back in middle school and in high school. It is so fun to catch up with friends and even better to capture their engagement photos and soon to be wedding photos! 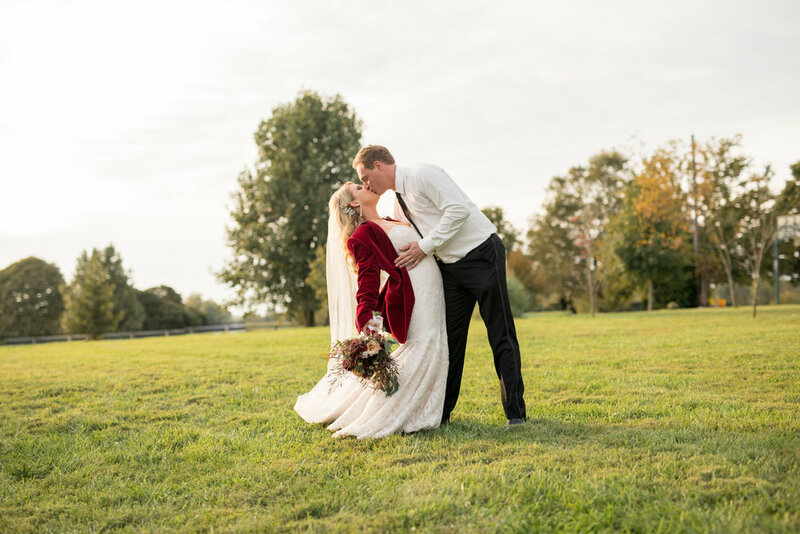 These two wanted an outdoorsy feel and we sure got some gorgeous color at Highbanks Park. Rachel and Charles were in the moment which made it super easy to photograph! You can tell how much joy they bring to each other and how happy they are with the spilling laughs that happened every second! These two are just too cute for me to handle and I am so excited to be there to capture their love for one another. Here are some of my favorites from their engagement session! I had the opportunity of knowing Tiffany and Johnathan since my first year of business. We first talked on the phone about wedding plans about two years ago! 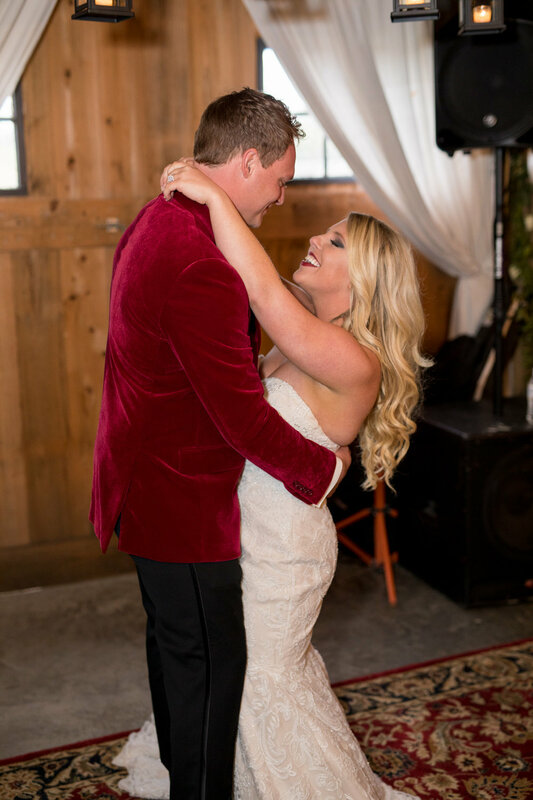 It’s so fun to be a part of a couples journey for so long leading up to their wedding day. I met Tiffany & Johnathan at their new house down in Lexington Kentucky for their engagement session. 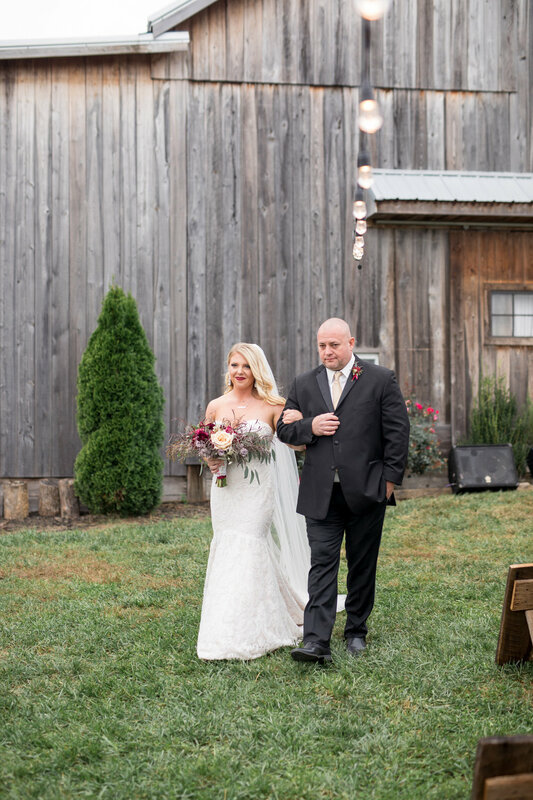 I was so pumped as soon as they said they wanted an in-home session in their new house, AND THEN they said they wanted to finish off their session at a brewery! If you know anything about me you know I LOVE unique photoshoot opportunities and challenging my creativity, so I was all in. This ended up being one of my favorite engagement sessions to date and was one of my first publications. The natural love these two have for each other is so easy to capture on camera and makes my job so much fun! I was so excited to photograph these two again on their wedding day. It was just as I expected it to be, perfect. 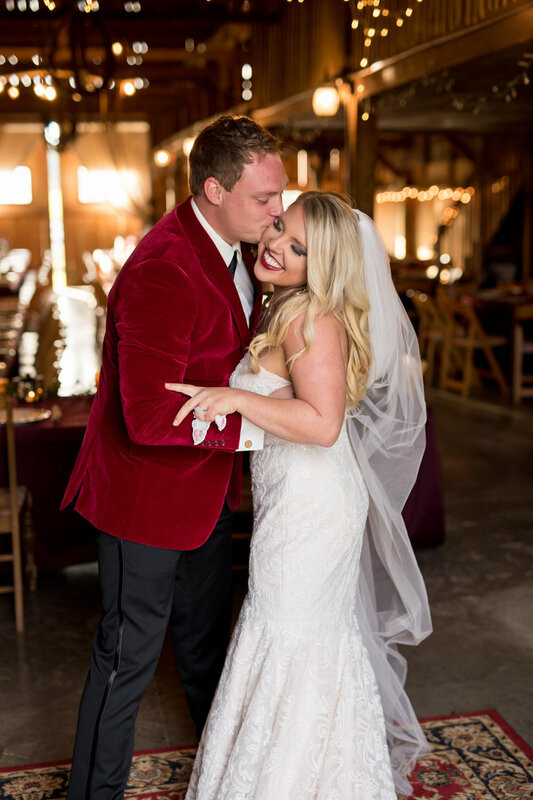 I was so happy to celebrate this day with Tiffany & Johnathan and I can’t wait to finally share some of my favorite photos! Check out the amazing vendors below who were able to make this beautiful day happen.